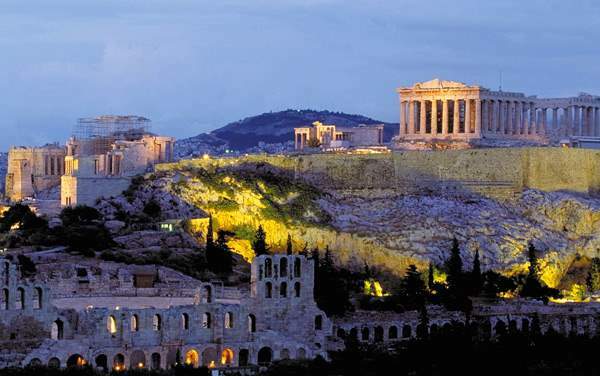 Athens, Greece is a place where you can spend hours relaxing and enjoying the far, but at the same time it can be the locale for an intriguing historical tour or architectural exploration. You may want to see the prehistoric Syrangion sanctuary or the Piraeus Museum, which houses The Bronze Statues. Of course, you must see the big attractions like the Acropolis, Athens City Hall, and other classic historical attractions. Find a great deal on cruises leaving from Athens below. Not a history buff? Stroll down the central avenues of Athens (Piraeus) and shop for Greek treasures, or make a fashion statement back home and purchase some local garb. The most important part of your time in Athens could be the food, as it is simply incredible. Make sure to try some local dishes, like Spanakopita or a gyro. Check out our Athens cruise promotions posted below.